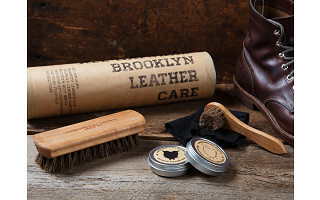 Nourish and revitalize cracked, dry shoes, jackets, and textiles with this eco-friendly, natural leather cleaner. 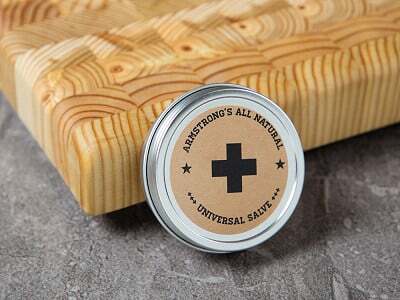 Armstrong’s all-natural recipes are Made in the USA the old fashioned way—from naturally harvested ingredients instead of the chemically derived turpentine, silicone, and synthetic materials found in most modern polishes. You can give leather goods, textiles, and the environment the best possible treatment. 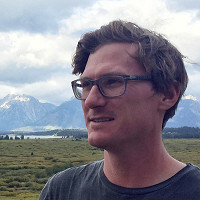 Everything from their ethically gathered beeswax down to their naturally occurring mineral pigments—even their recyclable packing—is free of silicone and petroleum derivatives. 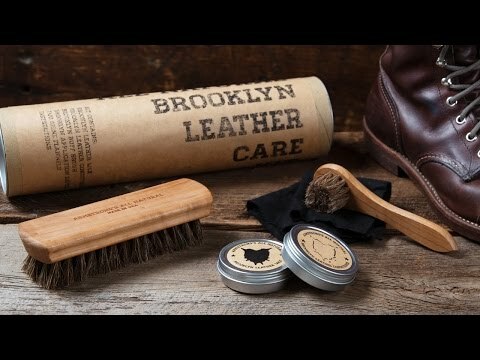 In fact, their signature boot wax is made from all-natural turpentine, distilled from home grown pine sap (not the chemically-derived kind). These waxes and salves will keep your goods looking sharp, while keeping you happy about the American-made, eco-friendly, all-natural formulas. Hello! 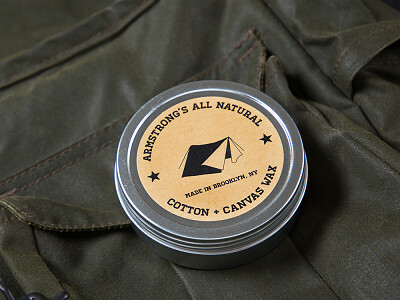 My name is David Armstrong and I am the maker and founder of Armstrong's All Natural in Brooklyn, New York. I am very proud to be here today, and would love to answer any questions you have about our company and our all natural products. 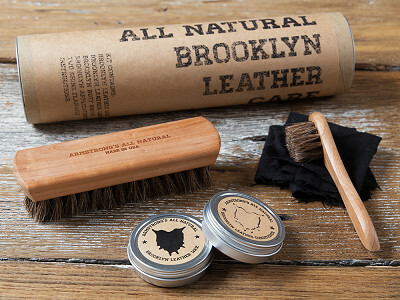 Nourish and revitalize cracked, dry shoes, jackets, and textiles with this eco-friendly, natural leather cleaner. 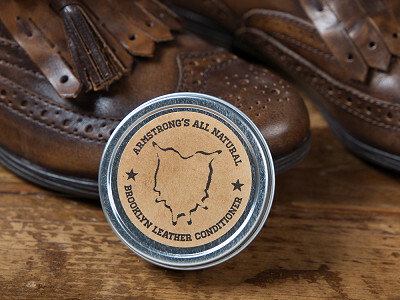 Armstrong’s all-natural recipes are Made in the USA the old fashioned way—from naturally harvested ingredients instead of the chemically derived turpentine, silicone, and synthetic materials found in most modern polishes. 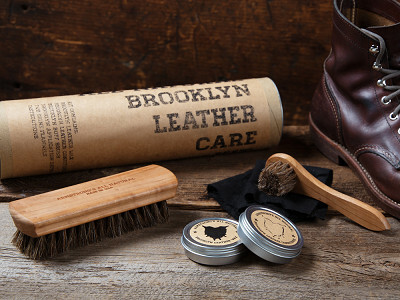 You can give leather goods, textiles, and the environment the best possible treatment. Everything from their ethically gathered beeswax down to their naturally occurring mineral pigments—even their recyclable packing—is free of silicone and petroleum derivatives. In fact, their signature boot wax is made from all-natural turpentine, distilled from home grown pine sap (not the chemically-derived kind).